Discussion about 2020 Democratic presidential contenders has largely left out one noteworthy name. Do you think Hillary Clinton should mount a third run for the presidency? But Hillary Clinton is now fueling new speculation that she may wage a third run at the presidency after all. 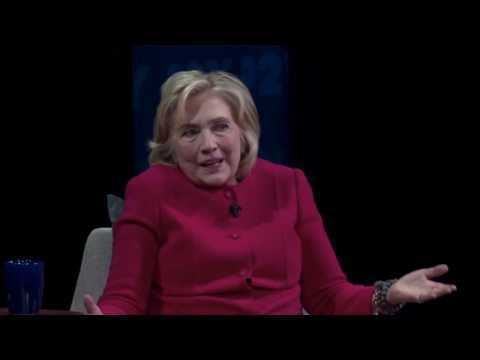 When pressed by questioner Kara Swisher, Clinton said, “Look, I think, hopefully, when we have a Democrat in the Oval Office in January of 2021, there’s going to be so much work to be done" during the Recode Decode podcast. Clinton's name has not been in the mix for potential 2020 candidates, but that may change. The interview with technology journalist Swisher came at the 92nd Street Y in New York City. You can listen to the podcast, which is one hour and 18 minutes, here.